BRYAN EATON/Staff Photo. 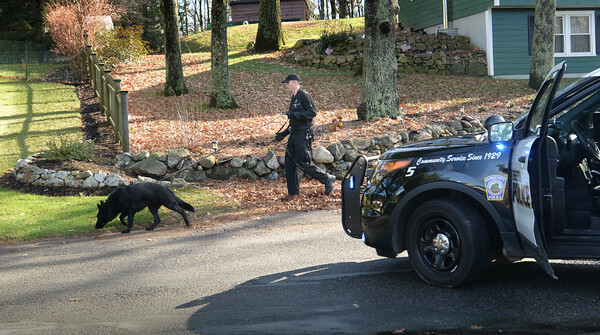 A state police canine unit searches for possible clues on Newbury Road in Rowley where a two-year-old was found after being reported as missing from her home in Hamilton. She was found by passersby in residential area and taken to a Beverly Hospital.